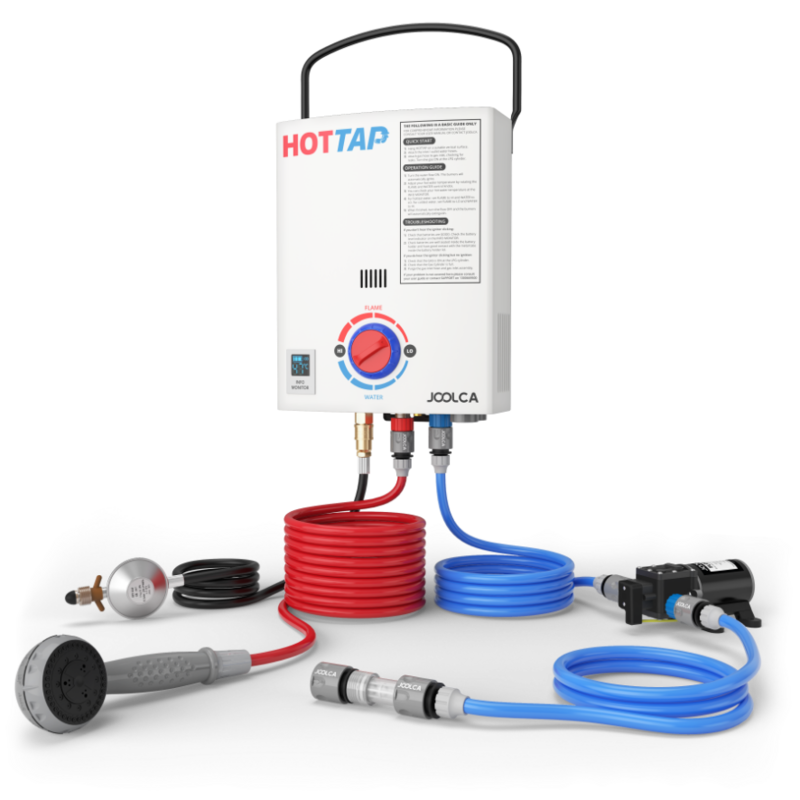 This OUTING kit includes our 12V FLOTAP pump and all connections for a complete off-grid hot water solution. Forget fragile inbuilt pumps; the durable HOTTAP accepts water from any source. When you’ve got water on tap, just plug it in. And when you're off-grid, use the pump to draw water from a creek or lake. The powerful FLOTAP pump self primes with water to a height (head) of up to 1.8m from the source - and can push up to 30m up a slope. Perfect for pumping directly from a creek or lake. If you're pumping water from a bucket or reservoir, chances are that you'll empty it. But not to worry; the FLOTAP pump has been designed so that it won't be damaged by running dry. The cleanable suction filter will ensure you keep debris out. Using the safe power leads, you easily connect the FLOTAP pump directly to the car battery or lighter port.